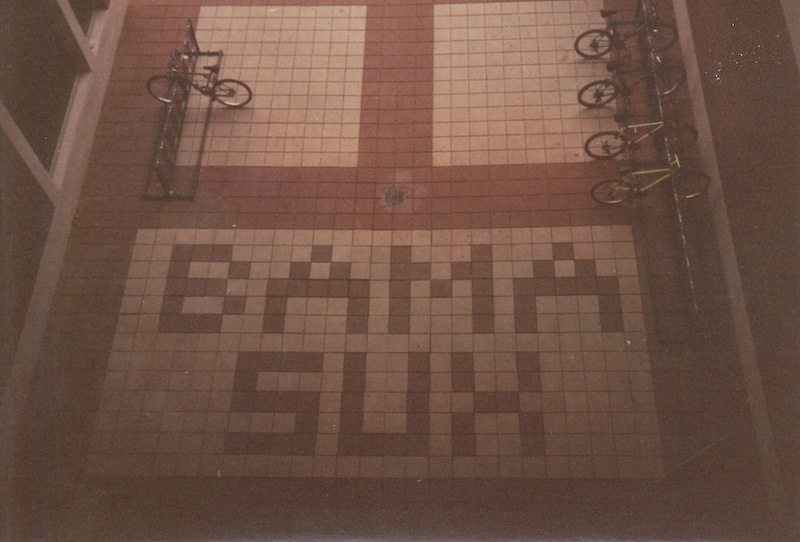 BAMA SUX: The day before the 1993 Iron Bowl, Scott Sligh went the extra tile to state the obvious. Scott Sligh, a 1995 Auburn mechanical engineering graduate, has a confession to make. He told his wife Andi after she found the photos and confronted him. Now, 21 years later, he’s finally ready to come forward publicly. “It was a Thursday in November of 1993 and I was in Dr. Roy Knight’s Thermodynamics class. I had a pretty good handle on Thermodynamics, so my attention wandered, as it often does. I was sitting near the window that can be seen in the upper left hand corner of the two photos. Auburn was on probation, the Iron Bowl was going to be in Auburn in two days—it was a big deal. 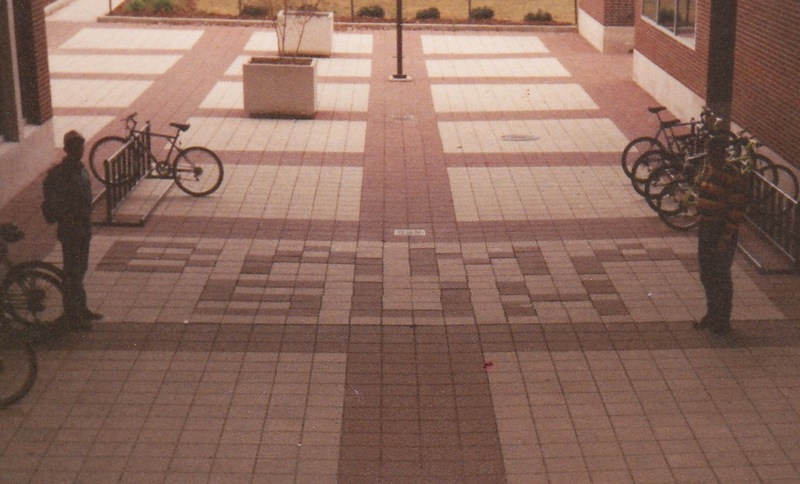 As I sat not-pondering thermo, I noticed that the tiles in the walkway outside the window were of a color scheme not unlike that of the team coming to town, and I pulled out a piece of green engineering graph paper and got to work. 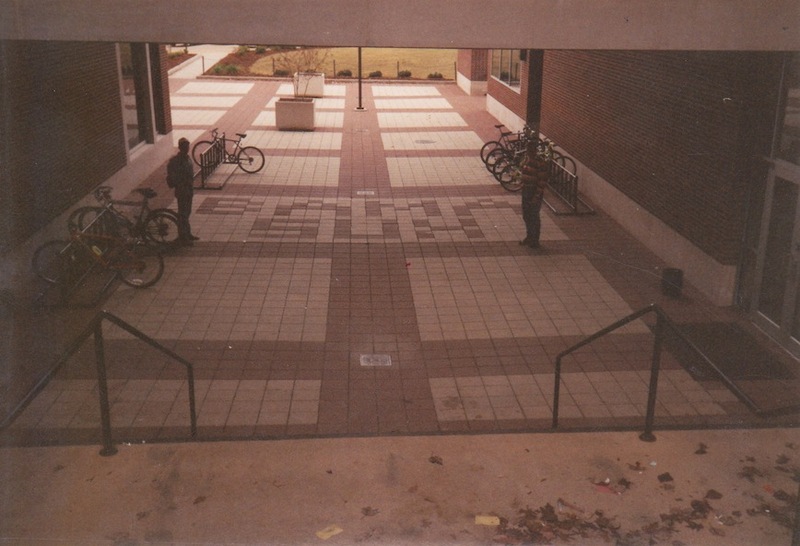 “When we arrived back on campus a few hours later on that Friday for class, the walkway was crawling with activity. People lined both of the glass connectors above the walkway, looking down at our handiwork. Everyone wanted to know who did it and when. We snickered to ourselves but kept mum.